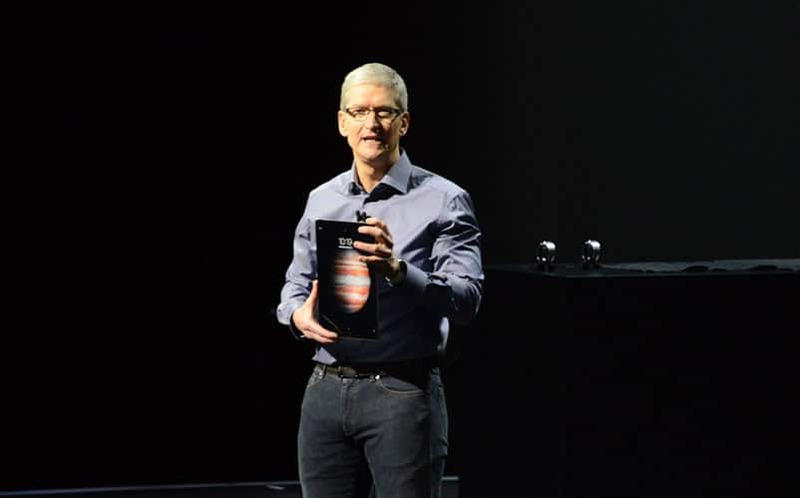 iPad Pro 12.9-inch Unveiled | Nerd Much? According to the company, “it has everything the iPad Air 2 offers, and a little extra on top.” The screen’s resolution is 2732 x 2048, giving it a total of 5.6 million pixels. The screen is large enough to fit a full-size software keyboard right on the screen. The new Apple device will also have a variable refresh rate, meaning that if the images on screen aren’t moving quickly, the device will be able to save power. The 12.9-inch iPad will sport an A96 64-bit chip, which has double the memory bandwidth of the older A8X, as well as double the storage performance. Apple also notes that the iPad Pro’s CPU is faster than 80% of portable PCs, with graphics capabilities 90% above those same devices. Apple didn’t note the RAM, but expect it to fall in line with the iPad Air 2’s 2GB, since they didn’t bother mentioning it in the press conference. We’ll update when we’ve got an iPad Pro release date, price and preorder details.